Lights! Camera! Action! 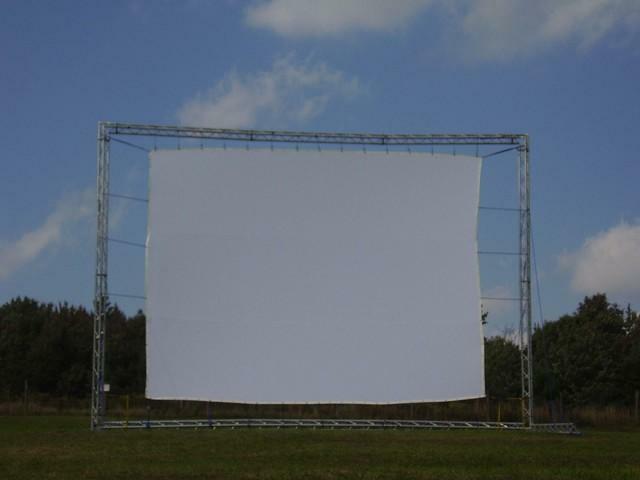 All out rentals take big screen movie screens to a the Xtreme level.!!! We now have the biggest inflatable spandex screen on the East Coast. This is perfect for municipalities, non-profit organizations, or corporations to host a, "movie in the park". You could combine this with a few of our other items to create a "Family Fun Day" or your own music and film festival. This is sure to attract a large crowd to generate another revenue source for the host. We can even help you get sponsors and sell attention getting ad space to pay for the event in advance (Call us for details.). Add a state of the art sound system to that will make ever the best theater jealous.